Today, Arrow Valves still supply RPZ valves but in response to market demands now manufacture and distribute a range of innovative water associated products – all designed to assist public health engineers comply with the Water Regulations. This has effectively repositioned the company from being ‘RPZ valve specialist’ to ‘Water Regulations solution specialist’. We are now able to supply practical solutions for most applications. We can also manufacture bespoke assemblies to suit a particular application – please contact us. • If we offer you a solution it will be because it is the right one for you. • Going the extra mile to respond to you promptly because we understand that speed is a measure of respect. • We always do what we say. • Continual improvement of our products and procedures to exceed your expectations. • Relevant and helpful information relating to the Water Regulations. • We commit to keeping business fun and friendly. 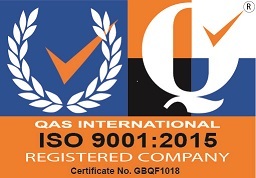 Arrow Valves Ltd are certified to ISO9001:2015 standards for Quality Management. Arrow Valves Ltd are certified to ISO14001:2015 standards for Environmental Management. Arrow Valves Ltd are certified to ISO/IEC27001:2013 standards for Information Security Management.